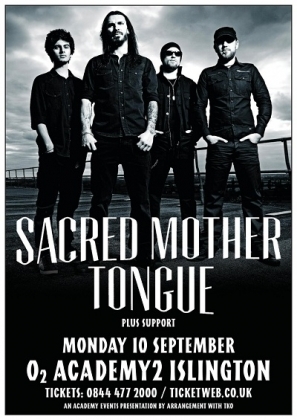 To celebrate the release of the EP the band have announced a one-off date at Islington Academy 2 on 10th September. Sacred Mother Tongue unveiled yet another new track from next year’s album at their packed showcase last week at The Intrepid Fox in London’s West End. Their blistering performance of that track, ‘Demons’, can now be viewed below.